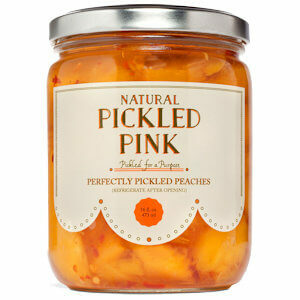 Atlanta-based Pickled Pink products are jarred by hand, using the freshest and most imaginative ingredients. 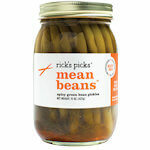 Their pickled products are as Southern as they are sophisticated and as sweet as they are sassy. 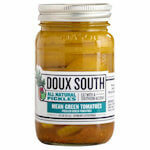 The Perfectly Pickled Peaches are as Southern as pickles can be. These thick peach slices are pickles with a hint of cinnamon, clove and with a touch of red pepper to add some zip. Mix them in your salads or use them on your sandwich instead of lettuce and tomato or even better, use both for a crunch effect.